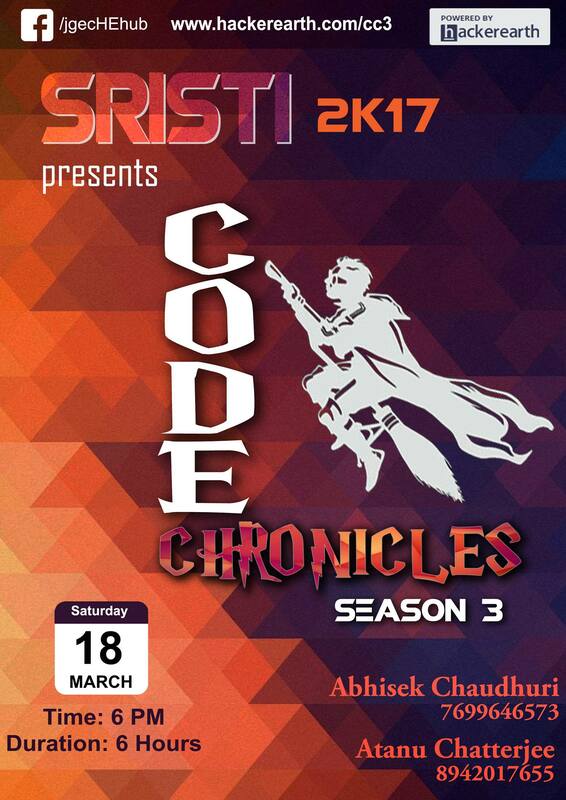 Welcome to the third season of Code Chronicles, JGEC's flagship algorithmic coding championship. Give your shot to become the champion algorithmic problem solver and win great prizes. This is a warmup contest for the Code Chronicles: Genesis Programming Contest to be organized under Srsiti 2K17, the largest techno management fest in North Bengal, organised by Jalpaiguri Government Engineering College.